It is designed for Faraday rotation angle measurements in the range of wavelength 385nm to 845nm. Magnetic field dependency of Faraday rotation can be measured precisely with this equipment. 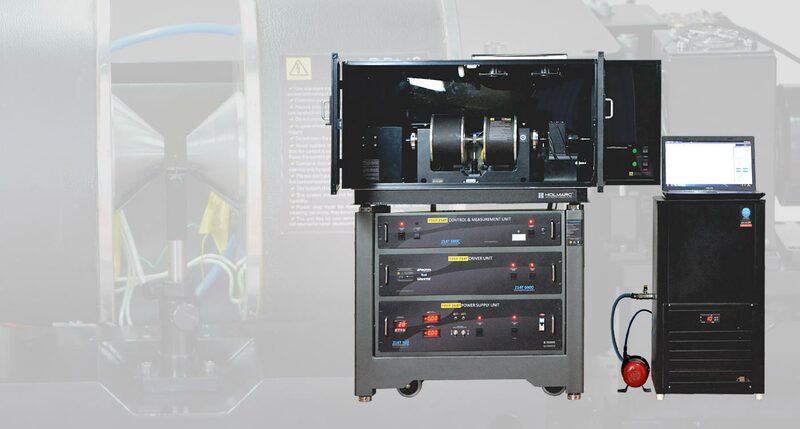 Working of this Faraday Effect Measuring Equipment is based on the rotation analyzer method. Max. magnetic field of 15,000 Gauss can be generated at pole gap of 12mm. Optical rotation measurement resolution is ± 0.01 deg. By using optional device, thermal dependence can be also measured. It is possible to evaluate thermal dependency property in the range of -70 to 300°C, because it can be designed to mount heating chamber and cryostat. The software allows users to control the sample temperature and magnetic field. Sample chamber can be heated from room temperature to 200°C to measure temperature dependence property. When options are mounted on the equipment, max. magnetic field may be reduced. Custom magneto-optical system can be supplied. Optical rotation measuring range : ± 90 deg.